Do you know all the awesome places in town to go eat? Are you great at making things happen for people? You could have a great future as a concierge! A concierge (CON-see-AIR-zh) provides services for guests at a hotel or residents at a high-quality apartment complex. These services include arranging transportation, making restaurant reservations, assisting people with local information, making appointments for a range of activities and services, running errands, arranging for unique guest experiences and outings, running errands and performing business services, planning special events for guests including parties, receptions and meetings, arranging for translators or interpreters for international guests and handling mail and deliveries. 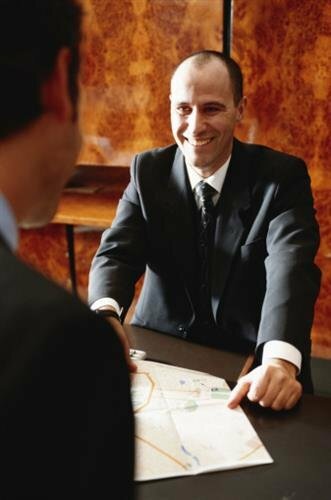 As a concierge, you will need to provide impeccable customer service, have exceptional communication skills to be certain of exactly what the guest or resident requires, have the ability to think quickly, critically and in a fashion that helps solve potential problems, have clerical and administrative skills, be a strong multi-tasker and have sensitivity to what a client is trying to communicate. Qualities you may want to groom for a career as a concierge include social skills, integrity, attention to detail, initiative, adaptability and tolerance for stress. Though no degree is usually required, an associate’s degree or bachelor’s degree in restaurant and hotel management is typically required to advance into hotel management positions. Continuing education courses will help you stay on top of changes in this field. After finishing your degree program, you may want to look at joining a hospitality association through your state or the American Hotel & Lodging Association, which often offer job posting, continuing education and certification opportunities. Once hired at a hotel or apartment complex, taking on more responsibility puts you in line for promotion. Good at helping people find what they want to buy? Retail salespersons assist customers in finding that “just perfect” item. Are you awesome at fixing problems? Customer service representatives help clients with order problems by replacing or exchanging items, tracking down shipments and helping with billing questions. Like to chat with guests on the go? Hotel, motel and resort desk clerks take care of lodging for out of town guests. Shh! Like reading? Clerical library assistants help patrons find books, check out selections, reshelve books and deal with administrative issues. Can you help find where people and things need to go? Receptionists and information clerks help people find what they need and help with information storage and retrieval. Are you awesome at planning business or personal getaways? Reservation and transportation ticket agents and travel clerks assist clients with planning transportation, lodging and events for business or personal travel. Can you anticipate other’s needs? Secretaries and administrative assistants provide administrative support including telephone calls, drafting communications, maintaining filing and office organization. Concierges have an average annual pay of $27,250, slightly lower than the average of all career paths at $33,840 as of May 2010. The main sectors hiring concierges accommodation and food services and real estate and rental and leasing industries. It is expected that opportunities for concierges will grow at about the same rate as the average of all career tracks, between 10% and 19% over the next decade. Globalization may help support this growth, as business travel becomes more common and more people are able to work remotely, allowing them to work from vacation spots.